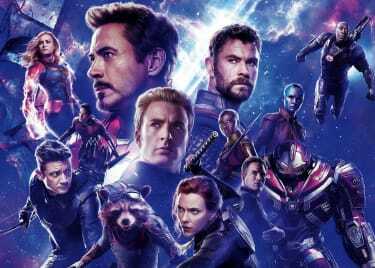 Marvel Studios has launched the biggest trailer of the year: The first footage from AVENGERS: ENDGAME is here! Along with the title reveal comes a vision of Earth’s Mightiest Heroes struggling to come to terms with the aftereffects of Thanos snapping his fingers to wipe out half of all life in the universe. We’ve got Tony Stark lost in space, a Hawkeye reveal, the return of Scott Lang, and confirmation of the loss of one of the MCU’s most important elements: Cap’s beard. As you go into seclusion to mourn the death of the beard, let’s break down the new trailer. Tony Stark was one of the few heroes left alive after Thanos snapped his fingers. The hero was injured but alive, and most of us assumed he would find a way off Titan alongside Nebula. Unfortunately, it doesn’t look like things went that way. The trailer opens with Tony stranded in space. He’s inside the Guardians’ ship, using a battered Iron Man helmet to leave a message for Pepper. Food and water are gone, and oxygen will be the next resource to run out. Overall, things aren’t looking good for ol’ Shellhead. Given how crafty Stark is, however, this probably won’t be the end of his story. And we can guess that Captain Marvel might be flying his way even as he prepares for the end. The trailer gives us an idea what happened after Thanos wiped out half the universe. Steve is back with the Avengers — clean shaven! — and Thor is living on Earth. It’s not clear how much time has passed since INFINITY WAR, but the heroes are still clearly dealing with the aftermath of the film’s climactic final battle. Meanwhile, Thanos is shown on the planet he settled in at the end of INFINITY WAR. He’s still wearing the gauntlet, so he hasn’t let his guard down, even if his armor is out in a field. Sadly, Black Panther wasn’t the only member of the Wakandan royal family to perish in INFINITY WAR. Shuri is also revealed to be among Thanos’ victims. We see her face when Bruce Banner scrolls through the pictures of those killed by the Mad Titan. The young prodigy played a pivotal role in Wakanda as its foremost weapons designer and princess, so her death likely took a toll on the nation. 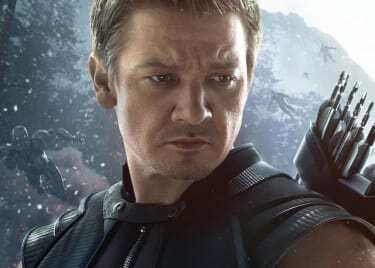 AVENGERS: ENDGAME seems to adopt a big idea from comic book storylines, as Clint Barton switches identities from Hawkeye to Ronin. In the comics, he switched identities after Captain America’s death in 2007. The trailer shows Clint in a comic-accurate Ronin costume, cleaning his sword after what seems to have been a pretty intense fight. Curiously, Captain America’s voiceover about them losing family is played alongside this sequence, which gives credence to rumors that Hawkeye’s family was among Thanos’ victims. This isn’t confirmed, but going by Clint’s depressed look, he’s clearly going through some stuff. They may have been beaten, but the Avengers aren’t ready to give up. Near the end of the trailer, Steve Rogers says the obvious: this is the fight of their lives. 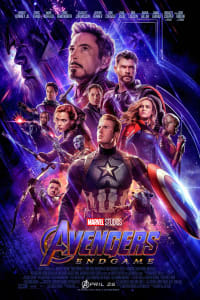 Natasha reassures him that their plan is going to work, which makes us think the Avengers actually know how to make things right. What we don’t know is whether or not they’ve met Captain Marvel at this point. 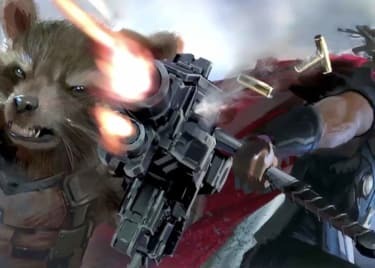 Will they take the fight to Thanos, or look for a way to undo the effects of the snap? We don’t know. Ant-Man was stranded in the Quantum realm at the end of ANT-MAN AND THE WASP, after Hope, Janet and Hank Pm were wiped away form existence. Naturally, the Avengers think Scott was among those killed by Thanos. As it turns out, he’s back and ready to join the team. At first, most of us assumed he would need the Avengers’ help to free himself from the Quantum realm, but it doesn’t look like that’s the case. How exactly he escapes remains to be seen. All this excitement ends with the film’s title reveal: AVENGERS: ENDGAME. This subtitle is familiar, as Doctor Strange ominously told Tony Stark that they were in the endgame after giving the Time Stone to Thanos. It’s an appropriate title, considering that this is the culmination of a ten-year storyline. Even with all this info, the AVENGERS: ENDGAME trailer doesn’t reveal much about what’s going to happen in the film. It does give up one big gift, however: the film arrives in theaters a week earlier than we previously expected!